Dubai: Shares of Abu Dhabi Commercial Bank (ADCB) and Union National Bank (UNB) took a breather on Wednesday, a day after the merger was announced. 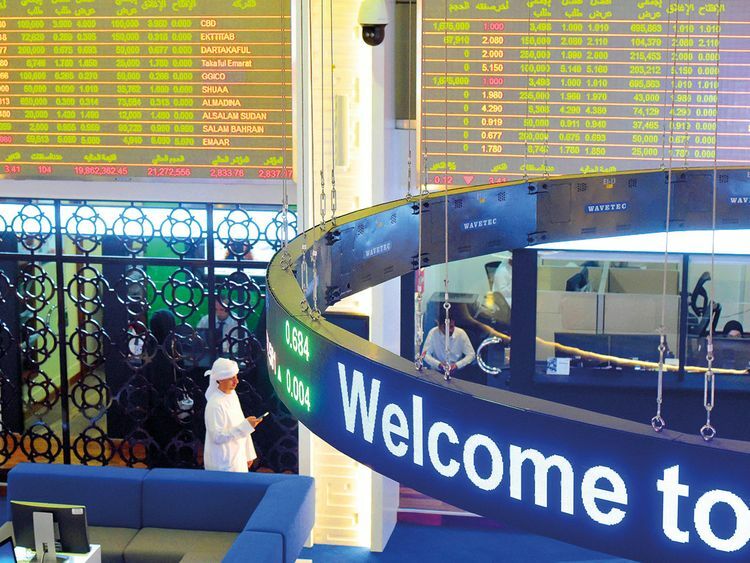 ADCB closed 1.12 per cent higher at Dh9.02, while UNB closed 1.70 per cent lower at Dh5.20. ADCB and UNB had been on a gaining streak since the merger announcement was made in early September, with ADCB gaining more than a fourth, while UNB gained 42 per cent. Senior Financial Analyst, Menacorp said. First Abu Dhabi Bank closed 1.22 per cent lower at Dh14.58, and was the most active share in trade. Among other stocks, Etisalat closed 0.24 per cent lower at D 16.96. Dubai Islamic Bank (DIB), which posted in line with forecasted fourth quarter results, closed 4 per cent lower on Wednesday, triggering a 1 per cent fall on the Dubai index. Buying was witnessed in other stocks such as Emaar Properties and Gulf Finance House. DIB closed 4.37 per cent lower at Dh5.03. 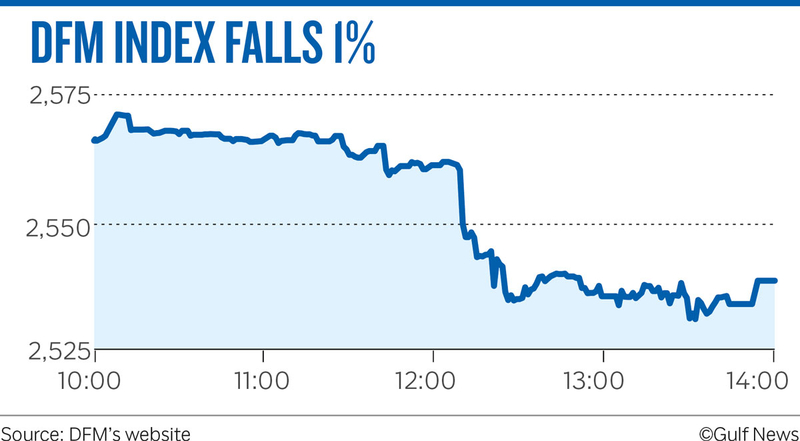 The Dubai Financial Market general index closed 1.07 per cent lower at 2,538.56, down 25 points or 1.07 per cent. Emaar Properties closed 0.24 per cent higher at Dh4.26. “Emaar continued attracting buyers however the stocks has slowed its roll and failed to trigger a strong rally,” Kassabieh said. Gulf Finance House closed half a per cent higher at Dh0.940. DP World closed 1.8 per cent higher at $17 (Dh62.4). In other regional markets, Saudi Arabia’s Tadawul index closed 0.03 per cent higher at 8,583.63. Saudi Basic Industries Corp ended 0.49 per cent higher at 123.40 riyals (Dh120), while Saudi Kayan Petrochemical Co ended 3.57 per cent higher at 13.92 riyals. AL Rajhi Bank closed 0.39 per cent lower at 102.40 riyals.